DD 162/5 in 20 overs CSK 128/6 in 20 overs. Today's match will be very interesting. 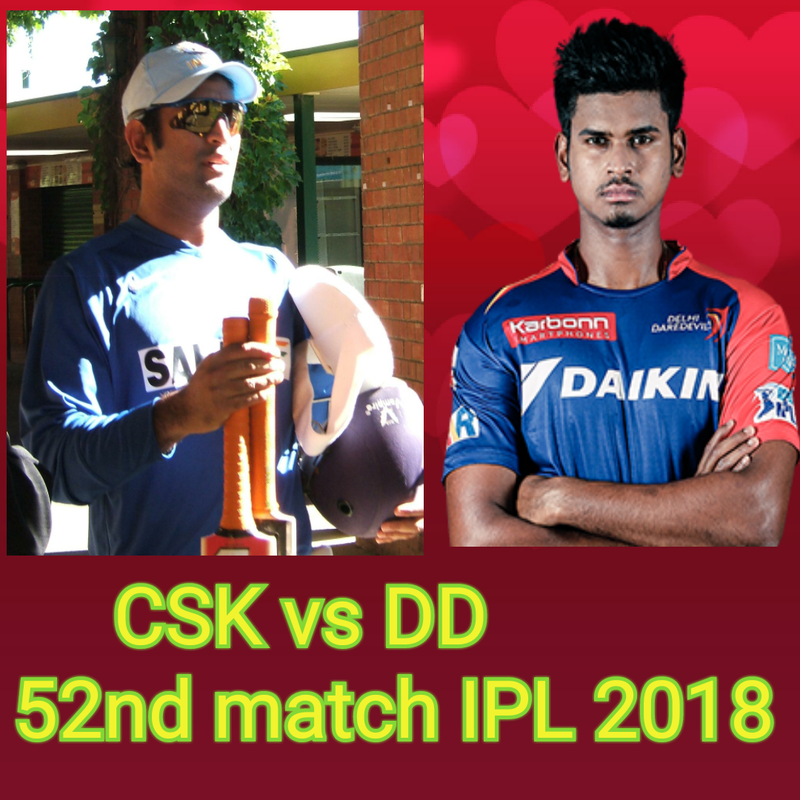 for CSK and DD there is no effect of result 52nd match of IPL 2018 being played between CSK vs DD in Feroz Sah Kotla Stadium Delhi. There is no importance of this match for both the teams because the result of this match won't change the position of teams in the point table. Sane Watson, Ambati Raydu, Suresh Raina, MS Dhoni, Sam Willings, Ravindra Jadeja, Dwayan Bravo, Harbhan Singh, Deepak Chahar, Sardul Thakur, Lungi Ngiri. Prithvi Sah and Shreyas Ayer started the inning of DD. Prithvi scored 17 runs of 17 delivery in which he struck 1 4s and 1 6s. 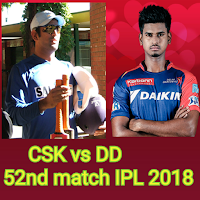 Deepak Chahar got his wicket caught by Shardul Thakur. Lungi Ngiri got the wicket of Shreyas Ayer(19of 22) and Rishabh Panth(38 of 26, 3 4s and 2 6s) DD scored 81/3 in 11 11 overs. Due to a great inning of Vijay Shankar(36 of 28, 2 4s and 2 6s) and Harshal Patel 36 of 16 delivery with 1 4s and 4 6s, DD scored 162/5 in 20 overs. Any players couldn't play a good inning for CSK except Ambani Raydu who played a great inning of 50 runs. CSK scored only 128/6 in 20 overs. Chennai Super Kings lost the match by 34 runs.